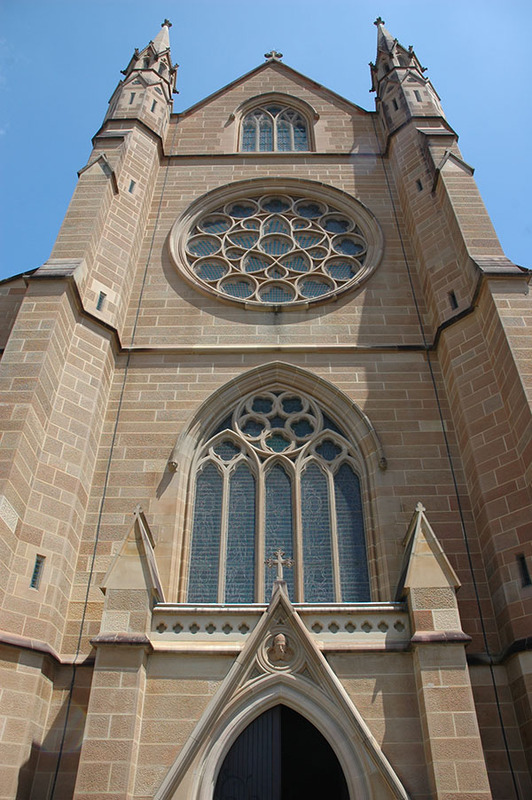 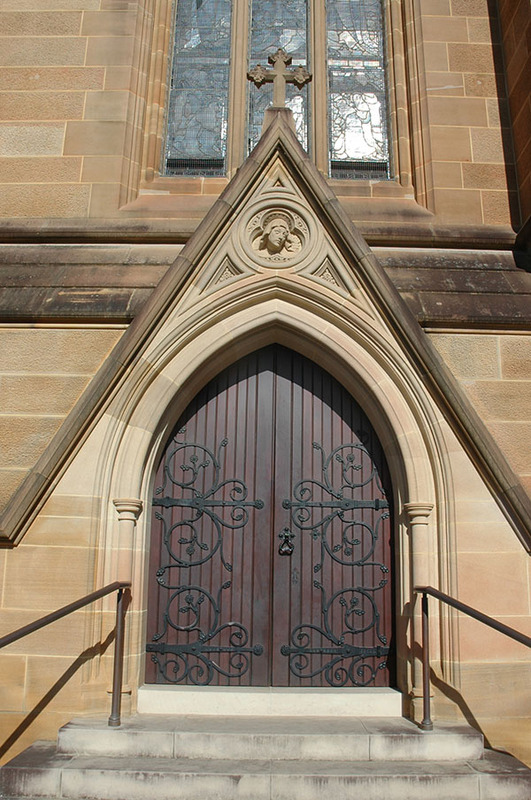 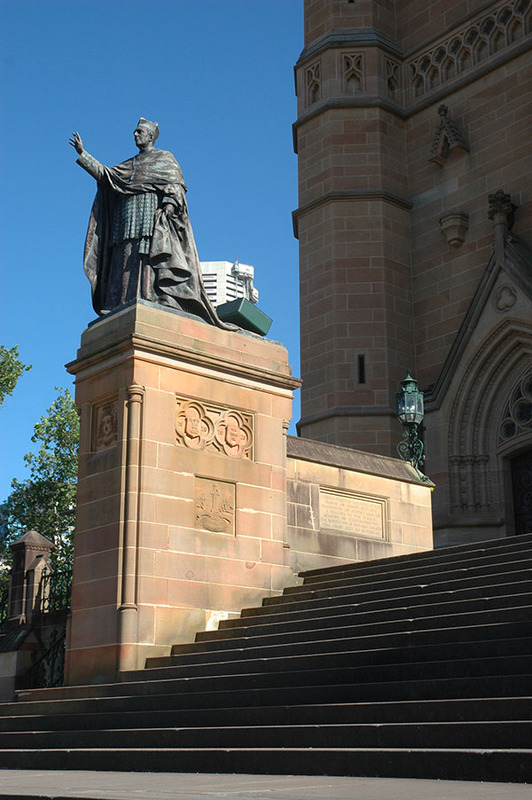 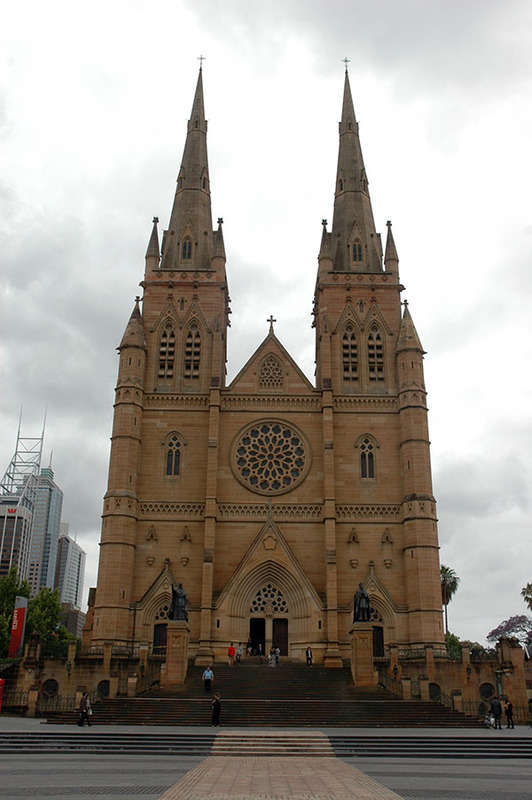 St. Mary’s Cathedral is the largest ecclesiastical building in Australia. 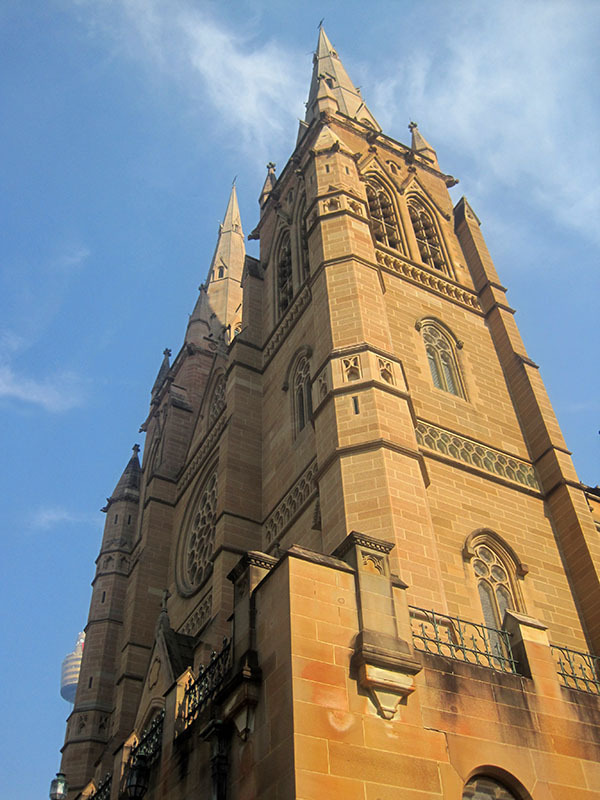 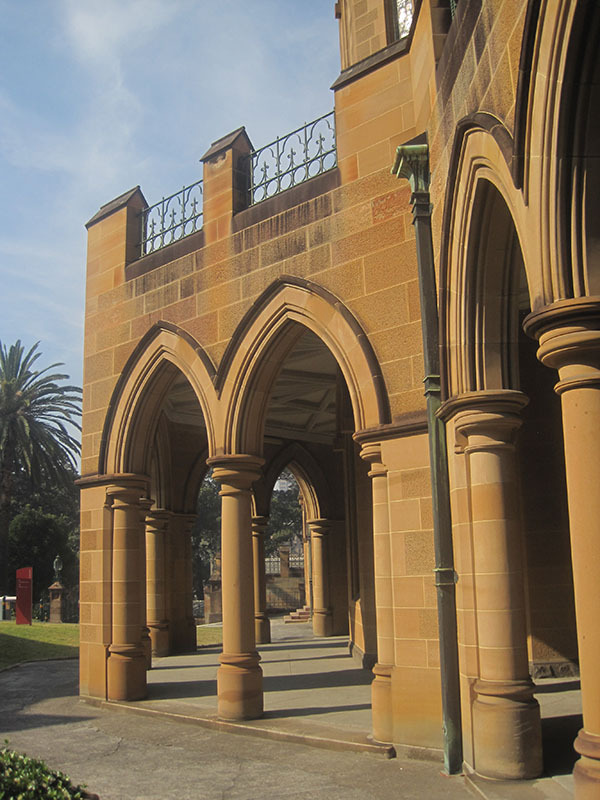 Work began in 1868 while the architect William Wardell was still based in Melbourne. 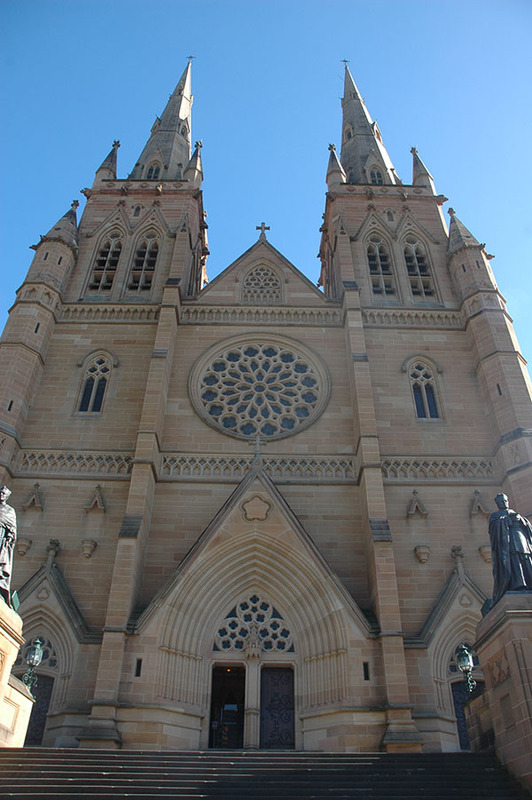 Work continued throughout Wardell’s lifetime, he died in 1899, the cathedral finally being completed in 1928. it was consecrated in 1882. 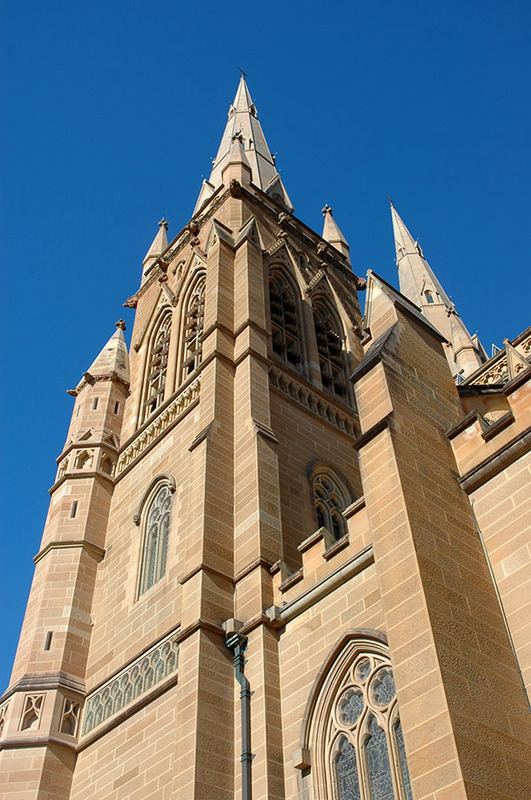 In 2000 the 75metre-tall spires Wardell had intended, a scheme abandoned due to lack of finance, were finally constructed. 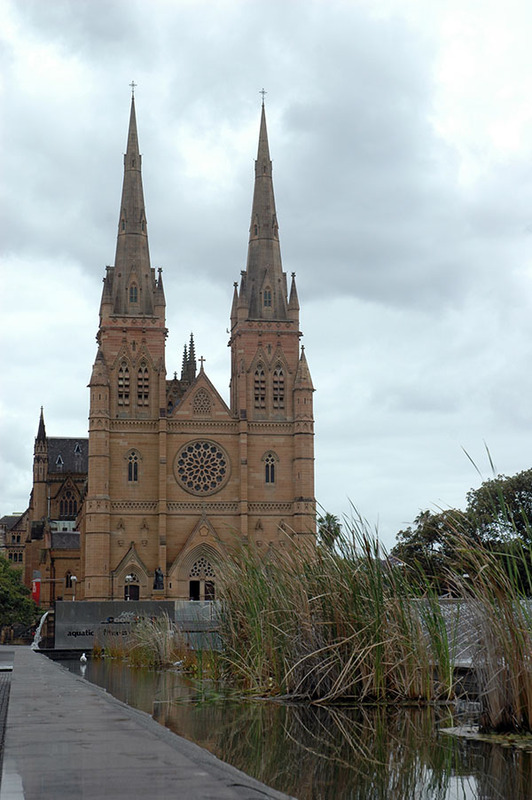 The plan of the cathedral is a conventional English cathedral plan, cruciform in shape 107 metres in length, with a tower over the crossing of the nave and transepts and twin towers at the West Front (in this case, the south due to orientation of the site). 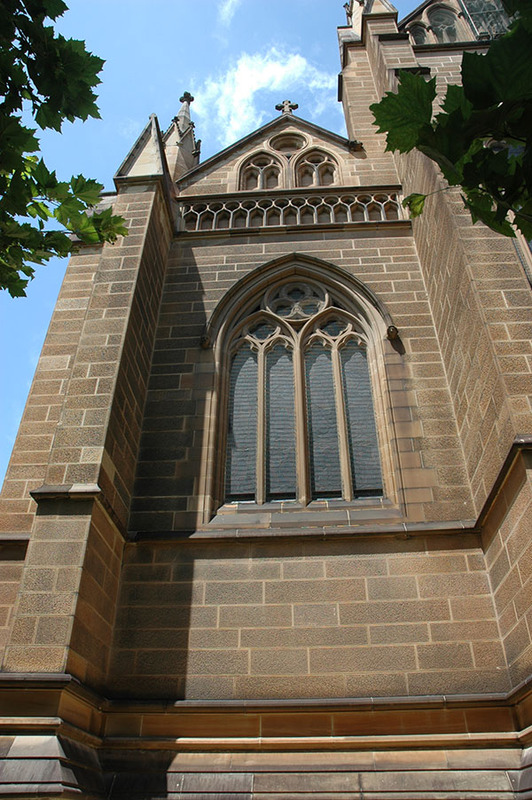 The chancel is square-ended. 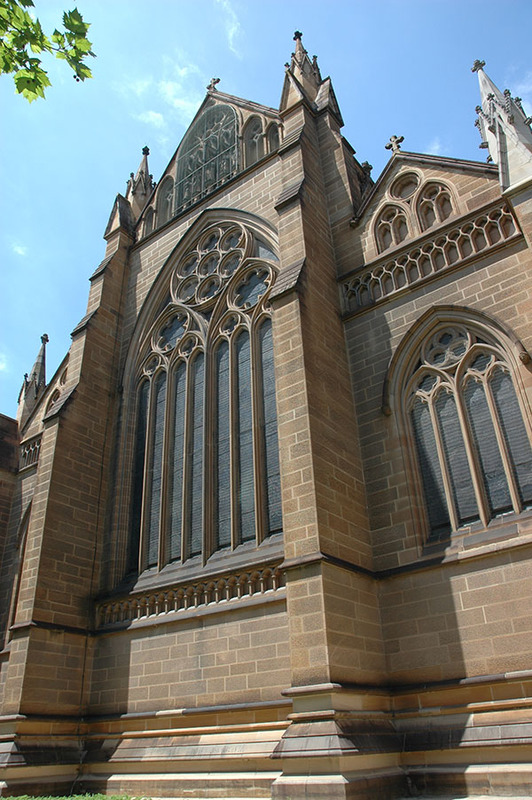 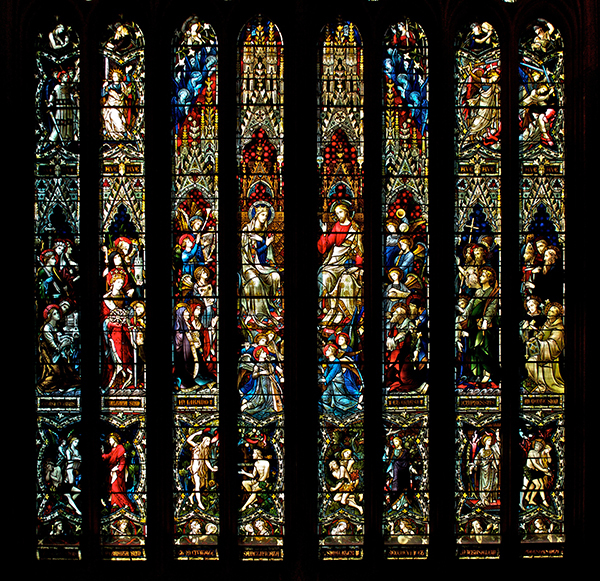 The style of the cathedral is Decorated Gothic, late 13th century England. 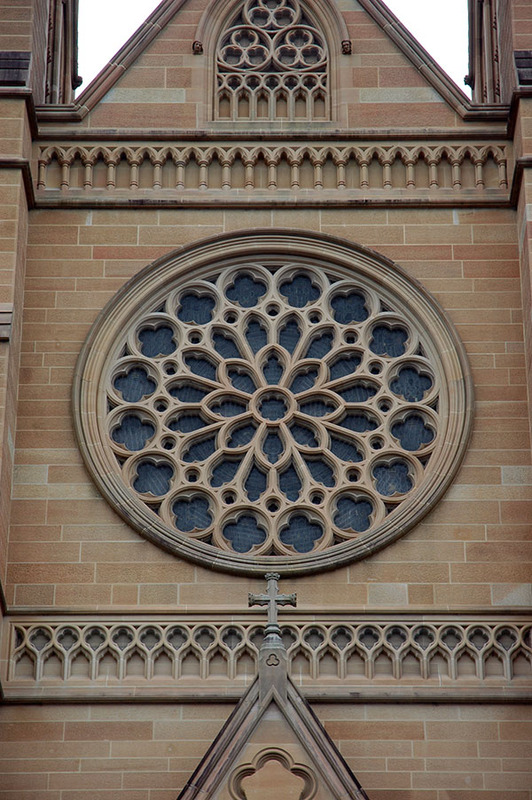 It is based fairly closely on the style of Lincoln Cathedral, the tracery of the huge chancel window being almost a replica of that at Lincoln.